“Sometimes we come to a place and we have no desire to come… and when we go we feel we have lost something precious…. but we people have become accustomed to them and they have given us many things that do not forget their kindness and their love for us” ~ B.A. 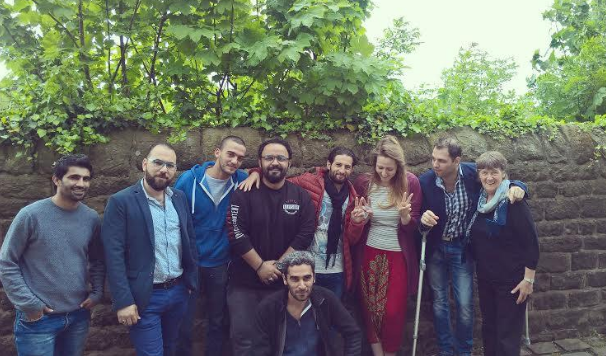 These are the words of one of our new Syrian friends about his experience of moving from Damascus to Lancaster and the work of the volunteers of Lancaster and Morecambe City of Sanctuary. Lancaster and Morecambe City of Sanctuary was established in September 2015 as a response to the enormous, heartbreaking refugee crisis happening world wide. Rather than continuing to feel helpless, a small group of individuals decided to act; and over the last eight months that group has worked tirelessly to welcome and support asylum seekers and refugees in to our small part of the world. We have since expanded and welcomed new arrivals from Syria, Sudan, Kuwait and Iran. In a district with a 97% white, British population, we knew there would be some challenges around integration as well as some incredible opportunities. By meeting with and learning from other organisations, such as Leicester City of Sanctuary, Migrant UK, Red Cross and Manchester Refugee Support Network, we have quickly learned a lot about best practice and continue to share our lessons and successes. We have used the skills of our Social Work volunteers to ensure our organisation is empowering and places the needs and wishes of asylum seekers/refugees at the heart of what we do. We want our new neighbours to not only feel supported but to direct the work we do and to feel involved in the district. The recurring priority that comes up for new arrivals is their wanting to integrate with the local community. The foundation for this is providing free English lessons (by volunteers) five days a week. We then ask each individual what their interests and hobbies are and find opportunities to suit. So far new arrivals have set up a regular football team with the local university; become involved in a food-growing allotment scheme; volunteered a t food banks; and become members of the gym. “Thank you for the lovely City of Sanctuary meeting last night. It is so good to see the CofS steadily developing and flourishing; and great to meet a new arrival – he looked happy and hopeful. It was a lovely, inspiring atmosphere in a place dedicated to peace” – Attendee at one of our Public Talks. In addition to this, we have worked hard to educate and introduce the new arrival’s culture to our community. This has been done through informative talks by the asylum seekers/refugees at churches and schools, and through Lancaster’s first Syrian Cafe, where food is sourced, run and served by the Syrian people. We believe our work has been very effective so far, even with our small team as we have two or three people signing up to volunteer every day, either at our drop-in, as individual befrienders, or to introduce the asylum seekers to new activities. 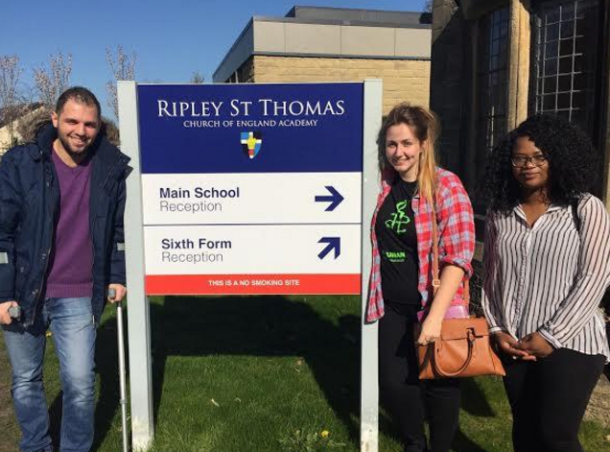 In response to our work, the student population have set up their own fundraising group, called Red Rose Refugees, and have raised over £500. In addition to this, one of the new arrivals, Bashar, after receiving his Leave To Remain, has settled in Lancaster, with the support of our housing team, and is waiting for his wife and children to join him. Safi has said that he has felt empowered by his experience in Lancaster. He feels that in our city he has found respect and dignity. Follow City of Sanctuary – Lancaster and Morecombe on Facebook. I would be interested in becoming a volunteer. I have had previous experience of working with Polish families and individuals helping them to learn English. Despite being a Granny, I think I still have something to offer the wider community!